Public interest is increasingly turning toward the use of natural stone in the home. Whether you want to acquire the rustic look of slate, or capture the elegant beauty of marble, we can help you achieve the look you desire. The use of natural stone in various forms has opened a whole new range of design possibility. 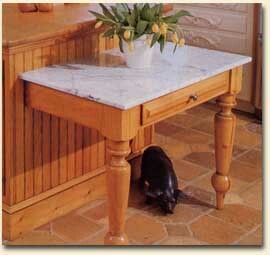 Here are some examples of natural stone used throughout the home in various applications.